The year is 1823, and the trappers of the Rocky Mountain Fur Company live a brutal frontier life. Hugh Glass is among the company’s finest men, an experienced frontiersman and an expert tracker. But when a scouting mission puts him face-to-face with a grizzly bear, he is viciously mauled and not expected to survive. Two company men are dispatched to stay behind and tend to Glass before he dies. When the men abandon him instead, Glass is driven to survive by one desire: revenge. With shocking grit and determination, Glass sets out, crawling at first, across hundreds of miles of uncharted American frontier. 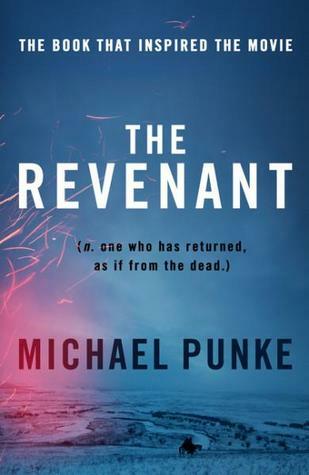 Based on a true story, The Revenant is a remarkable tale of obsession, the human will stretched to its limits, and the lengths that one man will go to for retribution. Originally I was going to do a movie vs novel comparison, but I started watching the movie and I couldn't make it past the mauling scene. SOO these are my thoughts on the book. 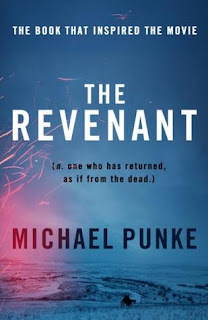 The Revenant was a book I went into quite apprehensively. It would not have been something I would've picked up to read had I not had recommendations from friends tell me that it was good. I was pleasantly surprised by how much I liked it, not just the plot but also the writing style and the imagery it created. Punke's writing was what made me really enjoy the novel. It provided great insight into the history of the 1800s in the US, coupled with such vivid imagery of the landscape of the wilderness. I was captivated by how realistic the depictions were and I could really feel like I was part of Hugh's journey. Learning about the historical era was also something I found fascinating, being such a history buff. I found that I barely knew anything about the 1800s, especially about hunting groups, colonies and the imbalance between Westerners and Indians. I loved that I was learning whilst experiencing such an adventure. It was somewhat surreal to find out that The Revenant was based on a true story. In fact, at the end of the story Punke left notes regarding the characters who were real and what happened to them after the event. The only thing I was unsatisfied about was the ending of the novel, but it did change it up a typical revenge story. I didn't think I could ever like a story or genre like this but Punke's writing really made the difference for me. He made a true story into such a fascinating fictional piece and I would recommend to pick it up - if you've watched the movie, if you're considering watch the movie or if you're looking for something different to read!